I first met Julien and Elisabeth few years ago, when I was living in Paris. We share a common passion for fixed gear bikes and we shred quite often Paris together. Julien wrote me several times, telling me he wanted to come on a trip with me someday. 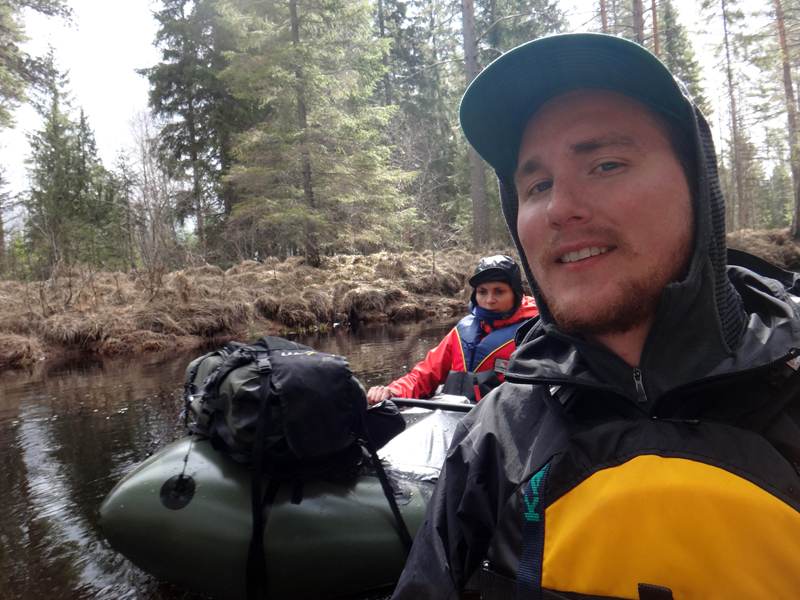 Ten days ago Julien and Elisabeth took a flight to Sweden with the strong will to taste the Swedish outdoors. Natasza and I had a 4 day window to take them out of the city. 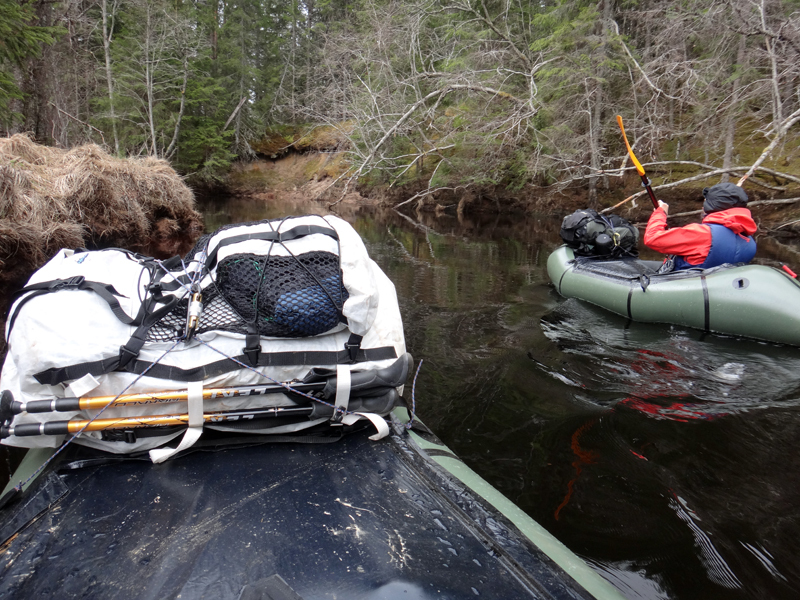 We wanted to involve hiking and paddling on this trip, packraft was our logical choice. Sweden is a country full of possibilities for short or longer trips. There are actually so many possibilities that it soon becomes difficult to choose one over the others. We were looking for a river. 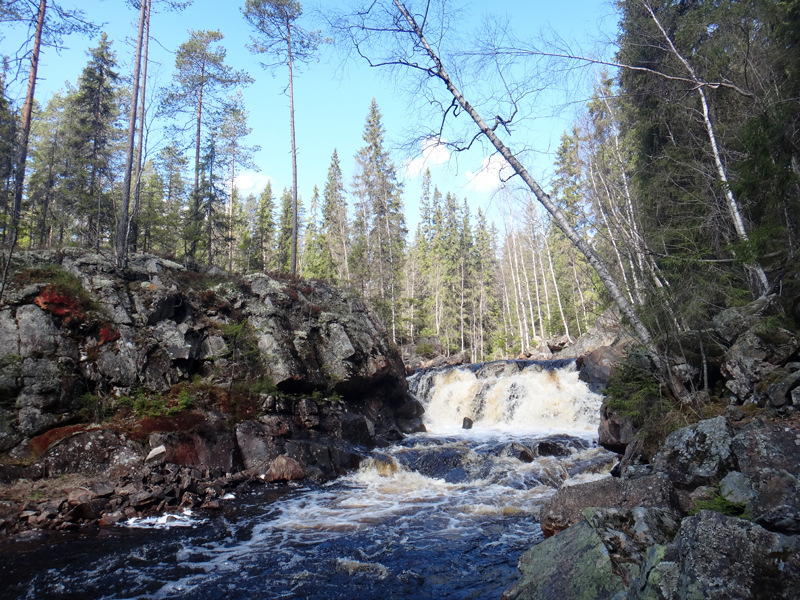 We decided on a destination after reading some posts about Nittälven River in Dalarna on the Deliverance Team blog. 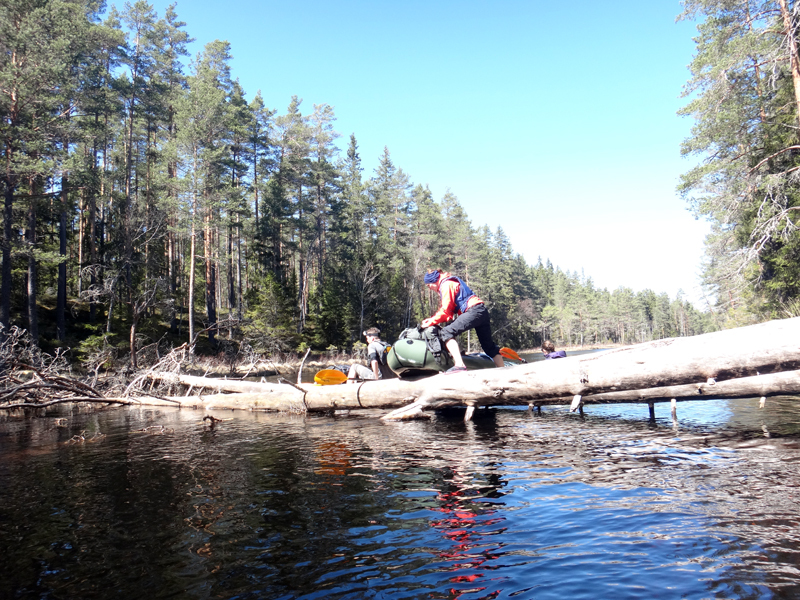 Nittälven is the perfect destination for a packraft trip: there are plenty of possibilities for hiking and paddling around. It is not easy to gather information about a specific place in Sweden when you don’t speak the language. But thanks to Henrik, we had the main information about our destination. 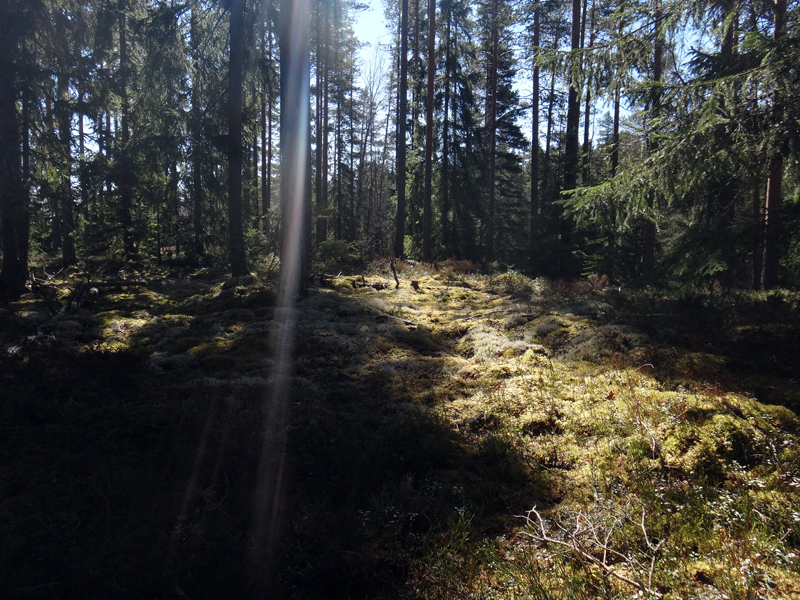 We took the train from Stockholm to Kopparberg on Thursday morning and arrived by noon. Our plan was to walk from the train station to the river. We always try to reduce our carbon footprint when going on a trip. We use public transportation until the very start of our human powered journey. 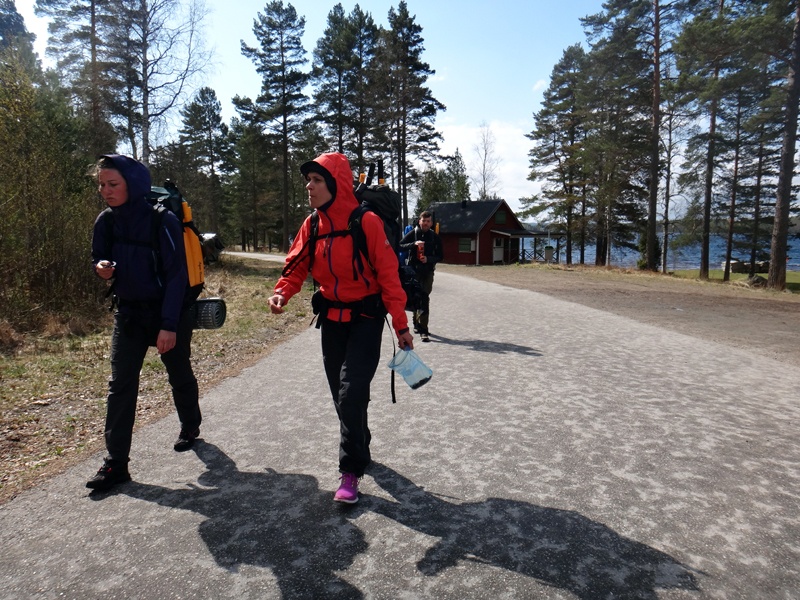 This afternoon we walked the 25 kilometers to Brattforsen. 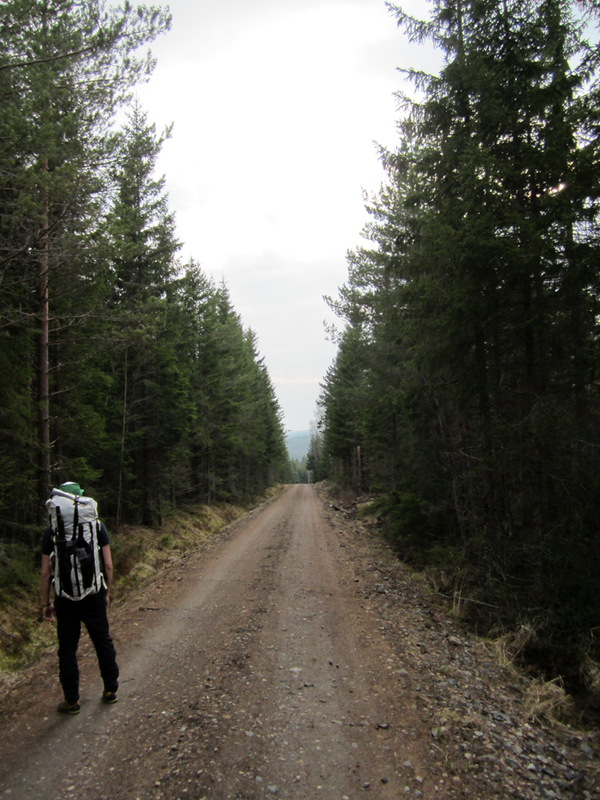 We hit the road that turned into a gravel track after few kilometers and we slowly entered the forest. There is a constant elevation from point A to point B that made the hike demanding for some of us. We took several breaks this afternoon. 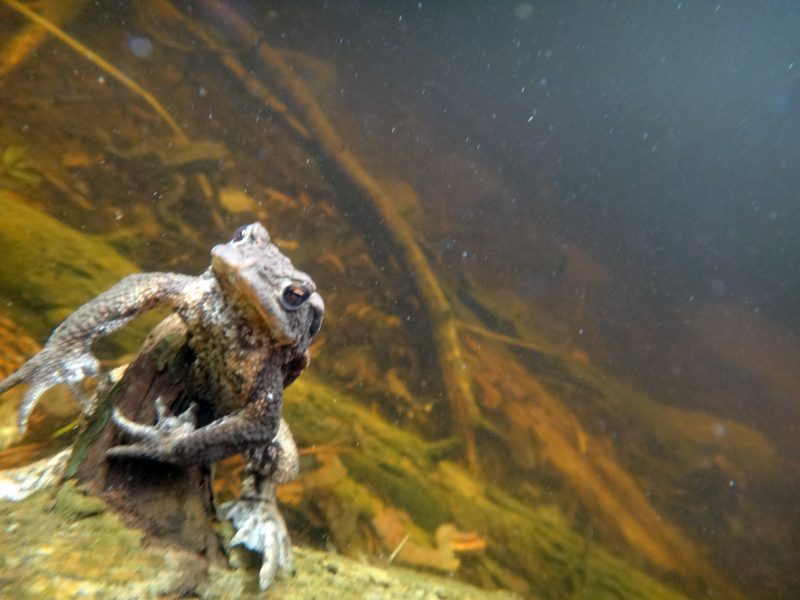 We stopped by a lake with an incredibly high density of frogs. 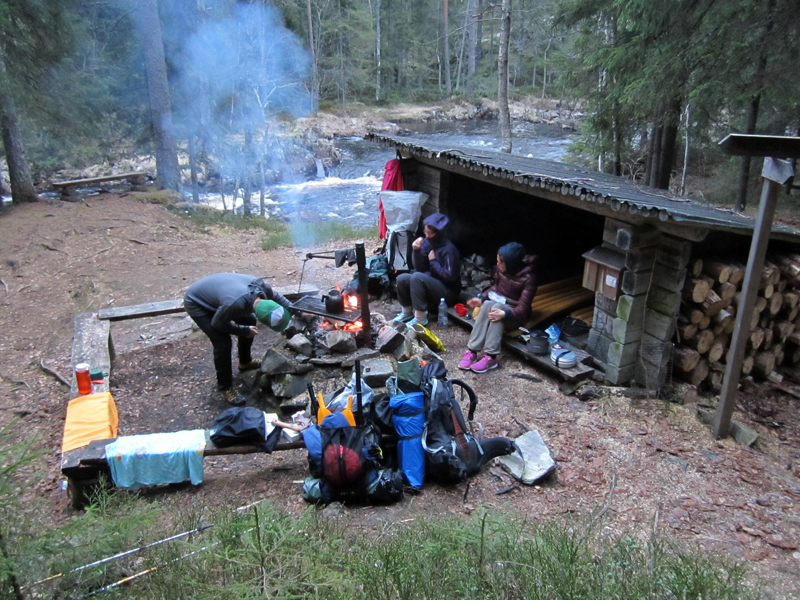 After a few hours we made it to the camp at Brattforsen. 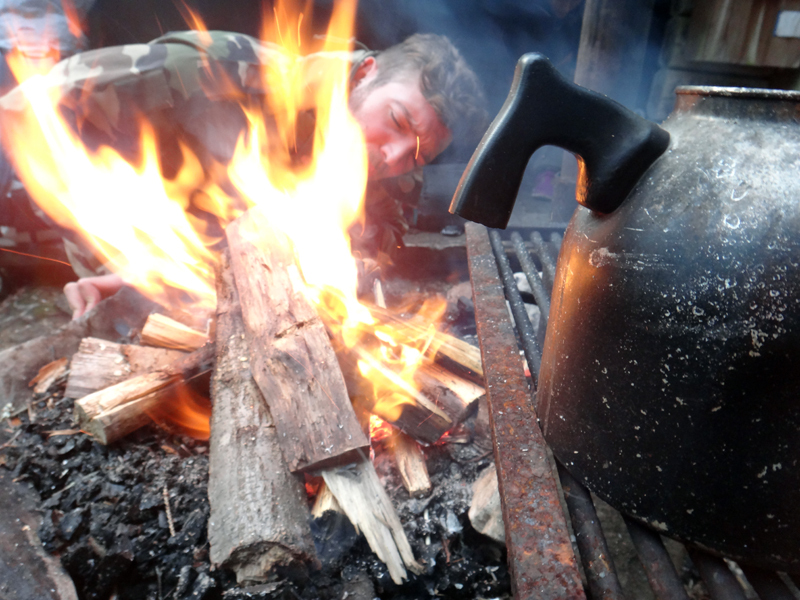 Julien and I jumped into the cold water before building a fire in front of the shelter. The gravel track. Easy to walk, boring sometimes. One of the many frogs we spotted. This little guy was very curious about my camera. But still a bunch of kilometers ahead! I was quite concerned that the loud waterfall could prevent us from a good night sleep. But we were so tired, none of us paid any attention to the loud noise and we felt asleep almost instantly. There are two waterfalls in Brattfosen. 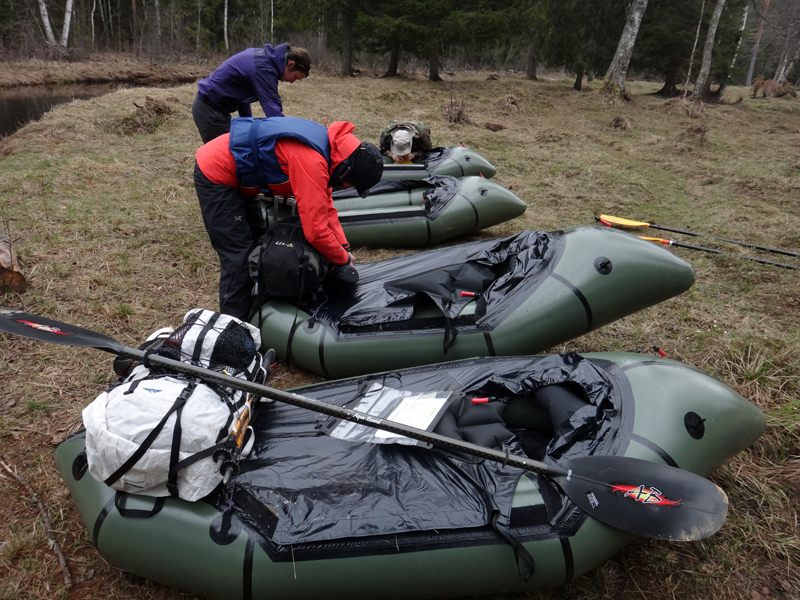 We inflated our packrafts right after the second waterfall and started paddling the rocky rapids in the tight canyon. Brattforsen is beautiful. We felt blessed being there. After a couple of minutes in the rapids, the river opens and the water calms down. We really enjoyed the two kinds of water. 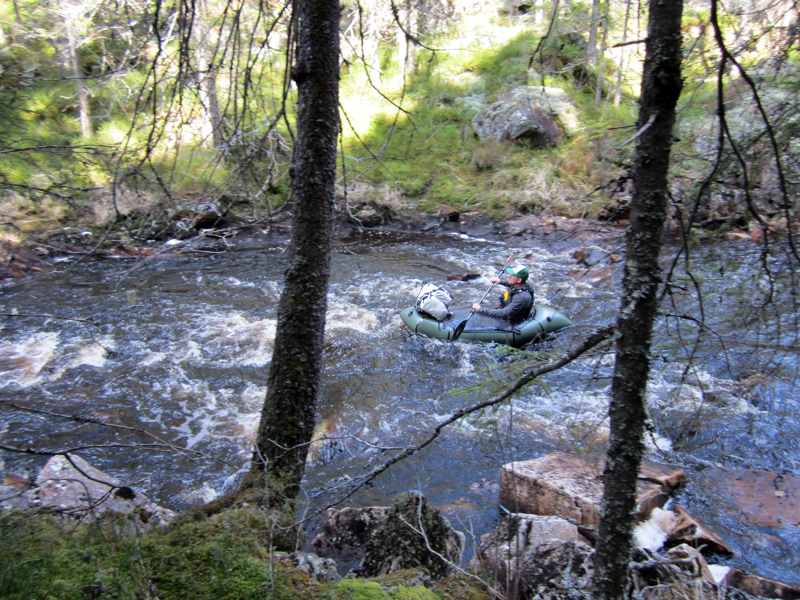 Flat water gives more time to enjoy the landscape while rapids are more challenging. I was a little bit disappointed because the water level was low. Too low in many rapids where there was no other option than portage. But it was fun to carry our fully inflated rafts on our backpacks. 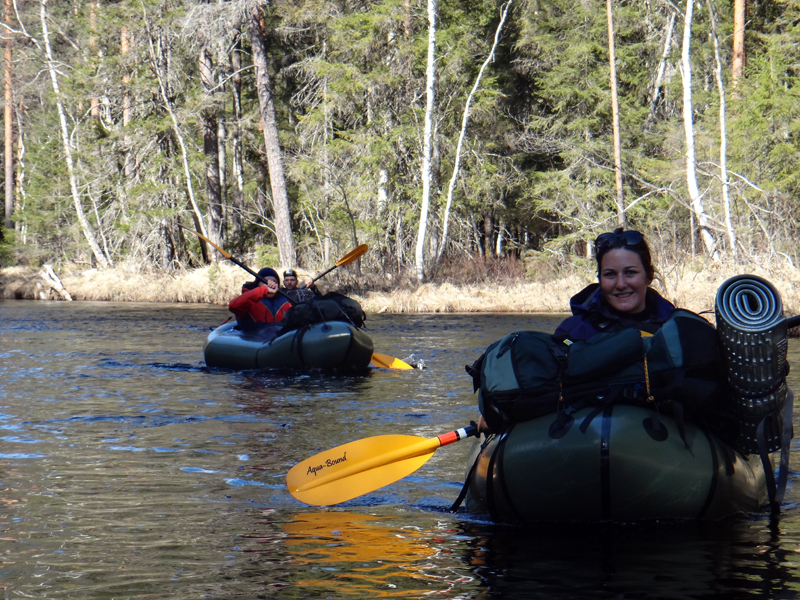 We paddled until Dansarbacken. We hit the hay and had a good night’s sleep in the open shelter again. We love it, way more than sleeping in a tent: there’s no condensation and you can still enjoy the nice view from your bed. 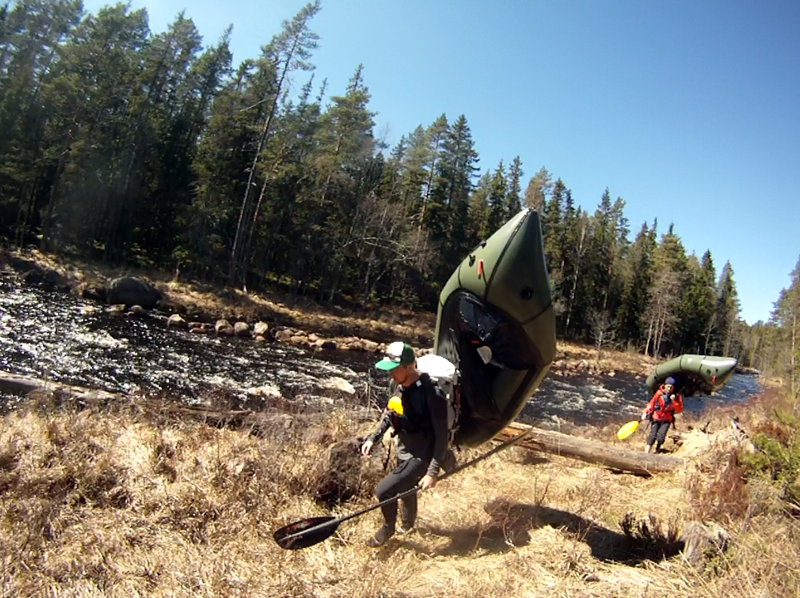 The day after we paddled the last part of the rivers which is a calm series of meanders. It is also beaver infested: the river is full of beaver dams and beaverlodges. We also noticed the many “beaver launching pads” on the muddy shores of the rivers, which looked like slides in an amusement park. There’s some water missing here! These dams are nice achievement for the beavers, but are quite annoying for kayakers. 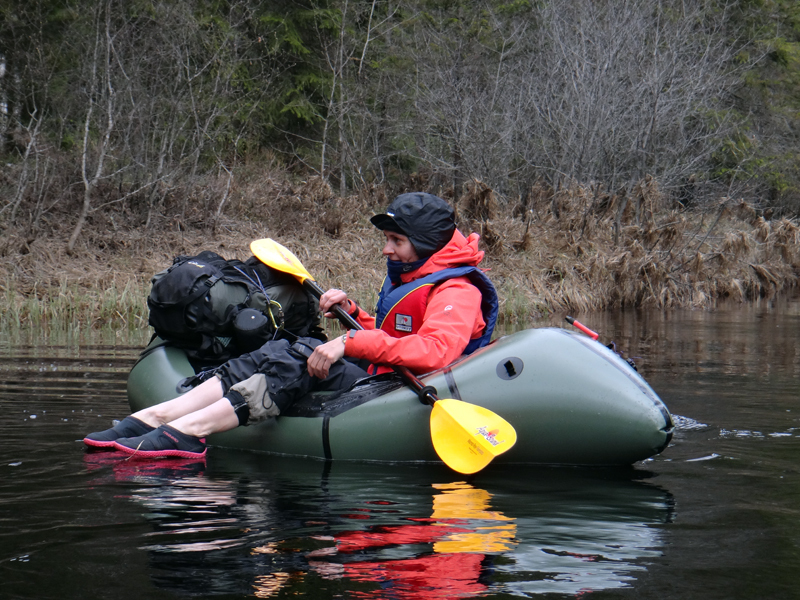 At some point there is no current anymore, packrafting becomes more demanding. Nittälven quietly flows into Ljusnarn Lake. We wanted to shake a leg and push it to Kopparberg. Luckily there was no wind when we decided to cross the lake. 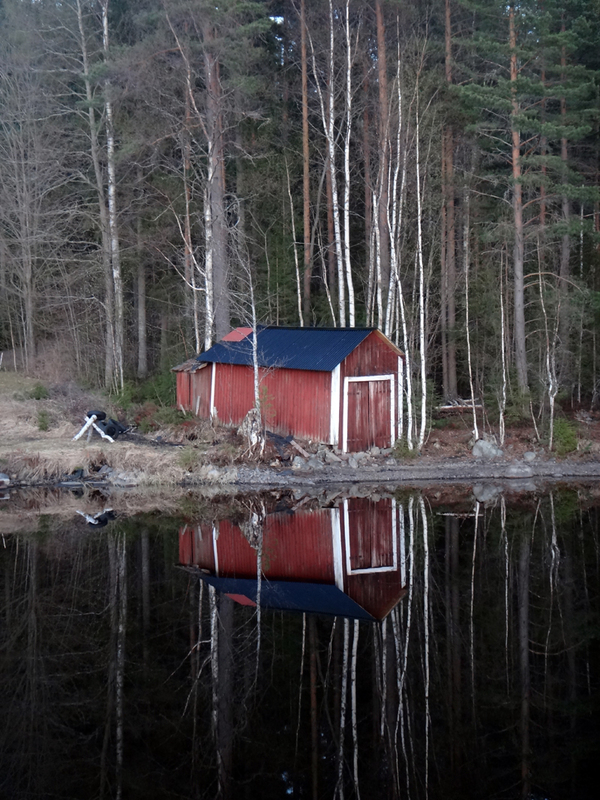 We spent the night on the shores of Ljusnarn. Our only one night sleeping in tents. To save weight, we left the inner tents at home; we just used the flysheets as shelters. 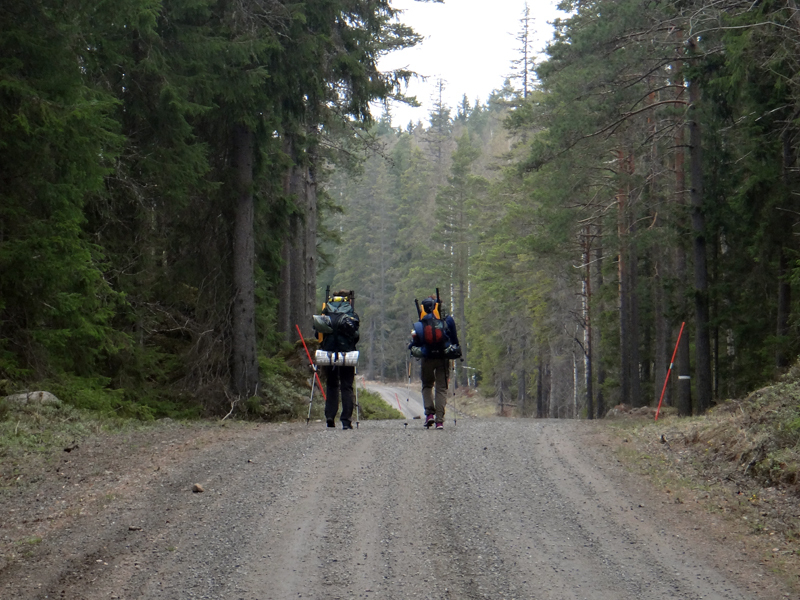 We had a Hilleberg Nammatj 2 and a Vaude Taurus ultralight (which was way more ultralight that way). It’s definitely a good option before or after the mosquito season and when weight matters (but it’s always the case). The morning after we walked the 4 last kilometers back to the Kopparberg train station. It took us two days to recover. Not from pain or tiredness, but to get back to the everyday life. This short trip was an amazing experience in terms of wilderness and friendship. It is not easy to find good trekking mates, I experienced it before. But Julien and Elisabeth are great guys and we spent 4 brilliant days altogether. We’re actually already thinking about another trip together, why not my beloved Scotland? 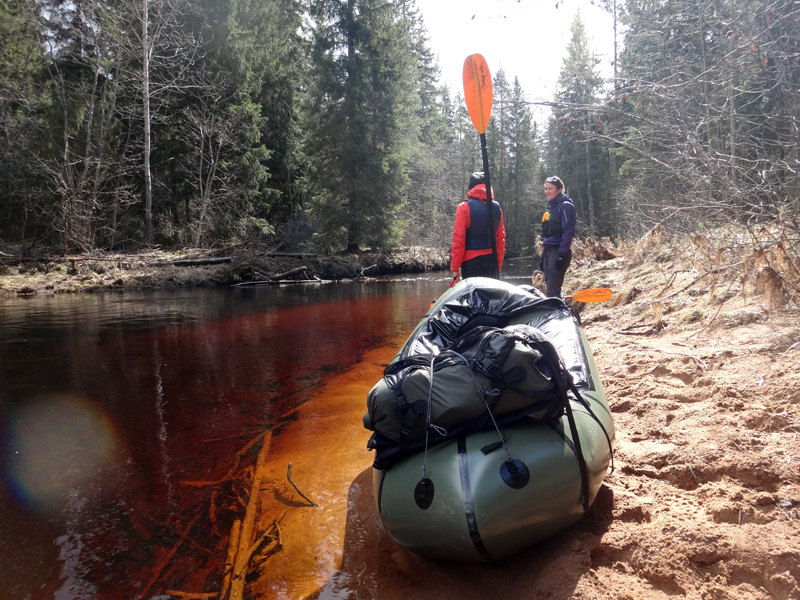 Julien and Elisabeth don’t have their own packrafts, they rented them from Avanza Kajak in Stockholm. 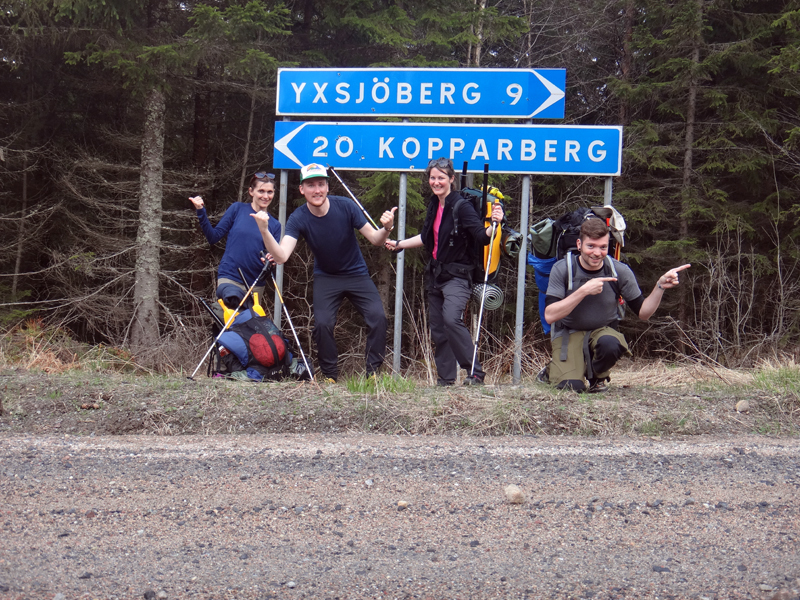 Also, very cool that you walked all the way from Kopparberg. Be sure to visit the river at high water some time. Thanks dude! It was rocky, indeed, but we had great fun. 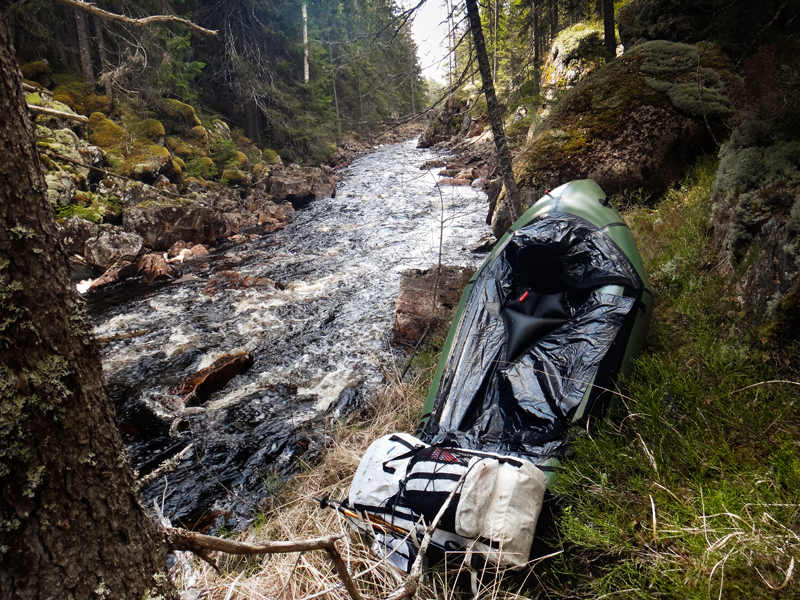 Be sure I will go back to Nittälven at high water! Thanks to advice us, it was really helpful! 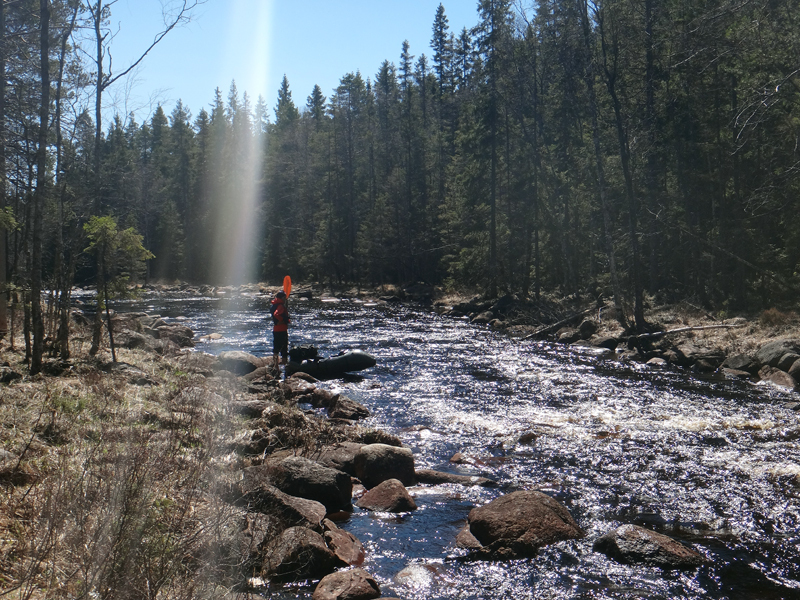 I counted the rapids from Lilla Nitten to Uvbergsbron and got to 18-20 class 1- maybe class 3, but they need at least one week of rain. I hope so too! We should plan a packaraft meeting someday! I dont have a craft yet but it sure looks smart to have a packraft. In that case i would like to get some wich can stand class III rapids. Thanks a lot for your kind message, Johan! It took me some time to reply but here I am! Do you have a packraft now? 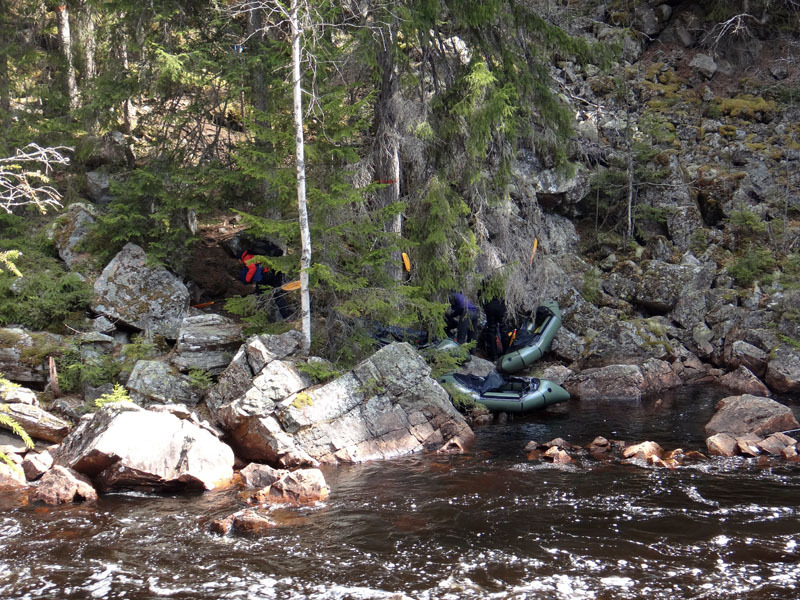 Hopefully the packraft scene will grow in Sweden! have fun!